Business Is Booming – But Don’t Slow Your Marketing Efforts! Can an Email Newsletter Really Help Your Business? Construction lead conversion is a gradual process that involves building trust and providing guidance. There’s no quick-fix solution, but with a skillfully designed lead funnel, you’ll be able to turn leads into clients almost on autopilot. To guide new leads into your funnel, consider what those in your target market hope to get from you early on. Are they searching for tips on ecologically sustainable office building construction? Do they want guidance on aging-in-place home remodeling? Keep your target audience’s goals in mind when you create content for your social media accounts and blog, provide material to attract referrals from past clients, and when you create your cold call scripts. The next step in your sales funnel turns information seekers into warm leads by bringing you their contact information. Some will contact you on their own, but you’ll get better results by offering an incentive. It could be an ebook, white paper, video series, webinar or any other premium content that gives your visitors valuable information in exchange for their email address or phone number. With each incentive you offer, focus on solving a common, concrete problem for a specific audience. For instance, if you work with luxury hotel developers, you might tempt them in with data on trends in sought-after hotel amenities. Along with getting contact information, your incentive should “pre-sell” your prospect. Let them know who your services are best suited for and exactly how your expertise benefits your clients. Because construction lead conversion can take months, your funnel should include a way to stay in touch with prospects while they research and plan their projects. An email newsletter is one of the most efficient ways to do this. A simple, twice monthly newsletter keeps you at the forefront of your prospects’ minds. It also lets you showcase your services and success stories to encourage your prospects to choose your firm when they’re ready to start work. Hello dear, I am Melisa Smith. I am very glad to read your top notch article. I try to read different types of digital marketing related articles daily. 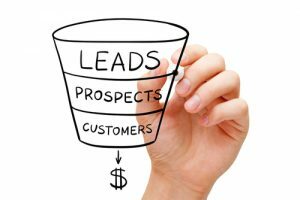 Today I am surfing to read about “Sales Funnel” and I found your very well written precious article. I got and learned some new concepts and lessons from your content. I believe it will help me a lot. Thank you so much for your impressive article. I appreciate your effort to write such worthy content. The information shows that you are knowledgeable about this subject and is helpful for the newbie and the for the expert alike.